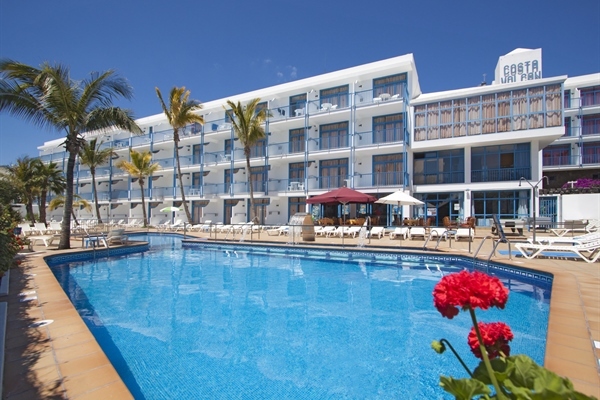 Ideal for a short haul mini diving break. 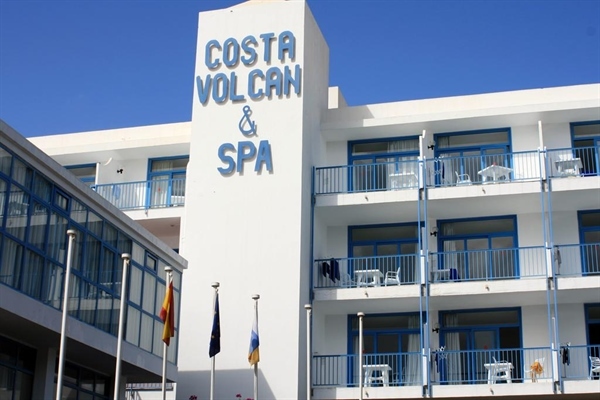 Costa Volcan is situated in the small historic beach town of Puerto del Carmen, a few metres from jaw dropping underwater lava cave formations and colourful reefs. 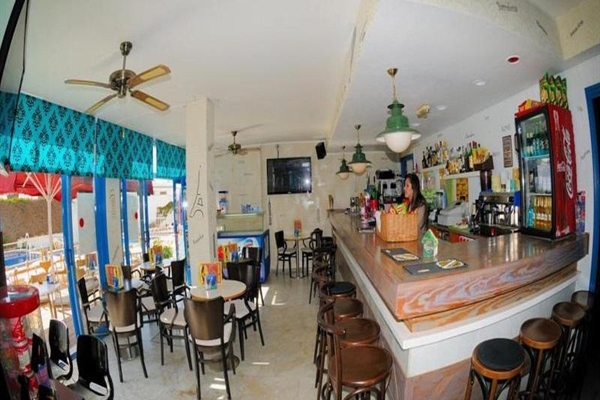 The resort is made up of 90 apartments and just a short stroll away from local bars, cafés, restaurants and the Playa Chica Beach. Both studios and apartments are available and have good facilities for a self catering apartment including; a two ring hob and various pans. Cutlery, plates and cups are also provided. 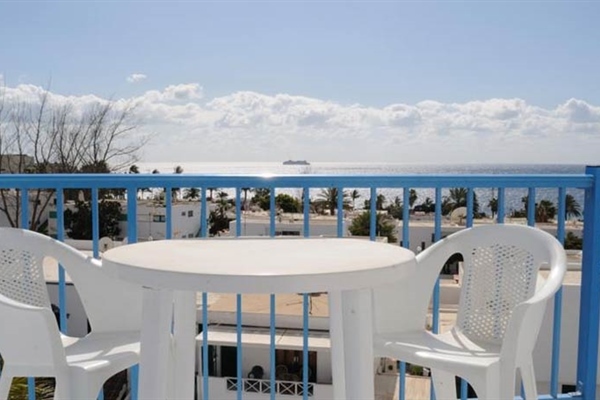 All rooms have a private balcony offering either pool or stunning sea views. 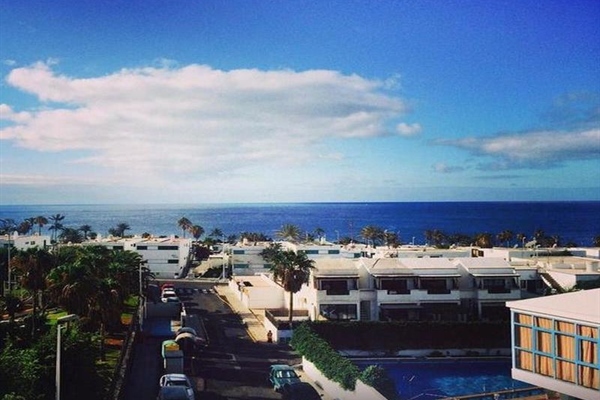 Furnished typically in a Canarian style, each room’s appearance is cool and highlighted with bright features. When you are not exploring the waters there is plenty to do above ground. Costa Volcan Spa has a wide variety of spa and beauty treatments available to all guests. Massages to unwind after a long day diving, turkish baths and a sauna which is guaranteed to help you relax. 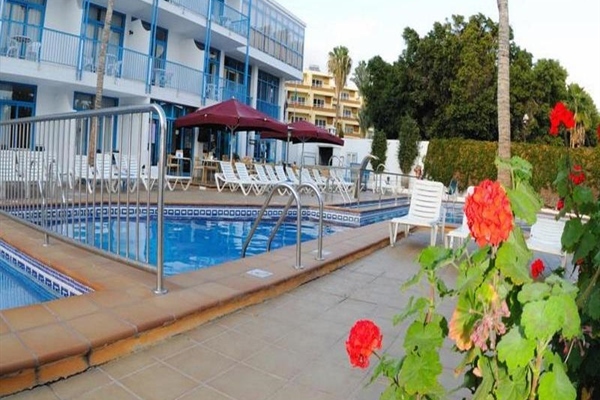 Sun loungers surrounding the pool area are perfect for catching the sun and if the sun gets too hot for the youngsters they can pop into the cinema room and chill out watching the latest movies. Each apartment houses a basic kitchen which is ideal for cooking or preparing your breakfast and lunches. Alternatively, the pool bar, located on site, is a great place to enjoy your breakfast, lunch or dinner. Plenty of cafes, restaurants and bars are within a short walking distance of the hotel. Next door to the Costa Volcan and Spa is the Manta Diving PADI centre. Their services range from family snorkelling experiences to PADI dive master and of course all that goes in-between! 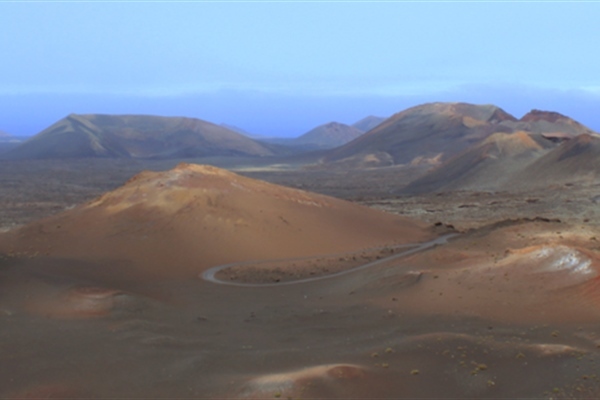 Diving in Lanzarote is mostly shore based; dives take place at 9am and 3pm. The resort’s house reef is home to a variety of marine life including barracuda, octopus and the fascinating angel shark! All accommodation is available on a self-catering basis, apartments include a kitchen equipped with pots, pans, a hob and utensils. 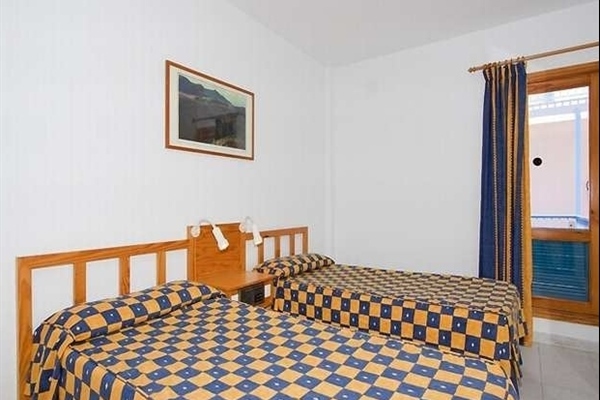 One bedroom apartments accommodate three people comfortably, with twin beds and a sofa bed. Spacious kitchen and lounge areas are cool and the balcony doors provide great natural light and a beautiful back drop. 15 minutes from airport by car. 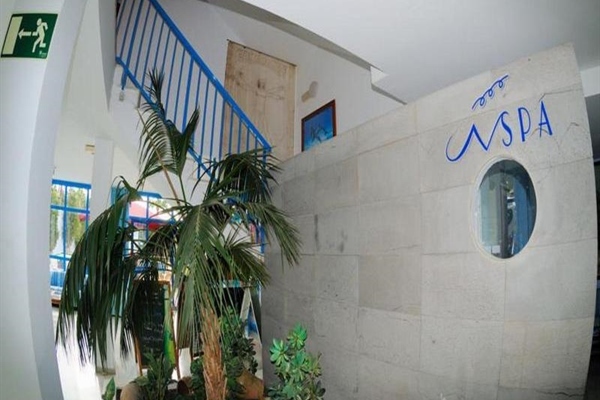 Manta Diving is located in Puerto del Carmen next door to the Costa Volcan Spa and is a PADI accredited dive centre. 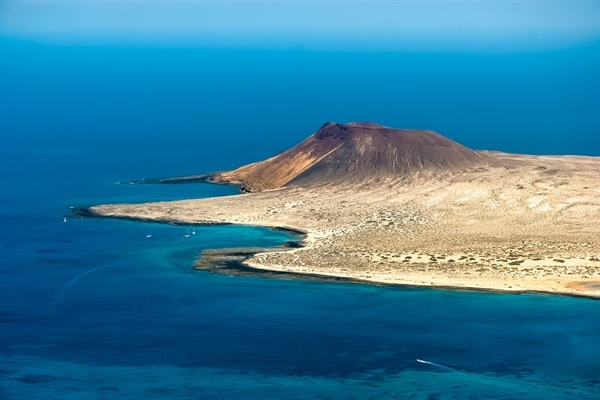 Lanzarote has beautiful topography and the guides and instructors of Manta Diving will ensure that you have an incredible underwater experience! The guides at Manta Diving are friendly and fun with years of experience in advising their customers of the best diving in the area. Their professionalism enables even the newest of divers to feel comfortable in their hands. The diving schedule with Manta Diving is flexible, before diving begins the guide will discuss with the group where everybody would like to go, what they would like to see and a plan is made from there. Dives take place at 11am and 3pm however the meeting time is 30 minutes before to give everyone time to kit up and be briefed. Nitrox is available to all qualified divers and the speciality course can also be done with Manta Diving for an additional fee. 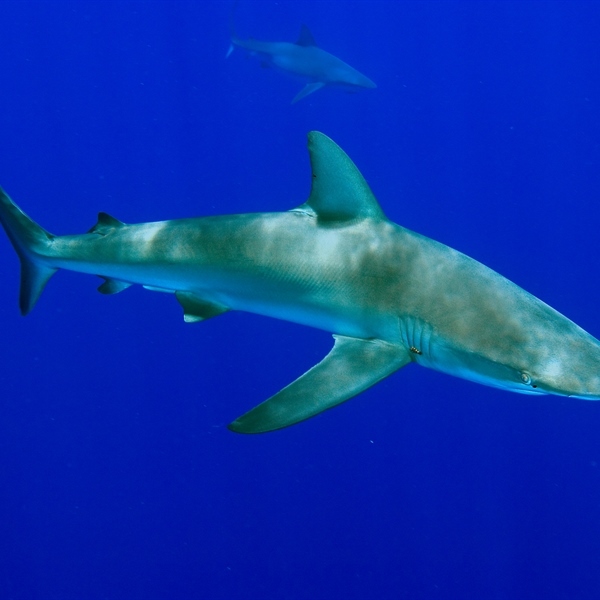 The majority of dives are shore dives as the reef is only 20 metres from the water’s edge; however some of the wrecks such as the harbour wrecks and Waikiki are accessed by boat. Other nearby dive site’s include; the Blue Hole, Red Coral and the Cathedral. 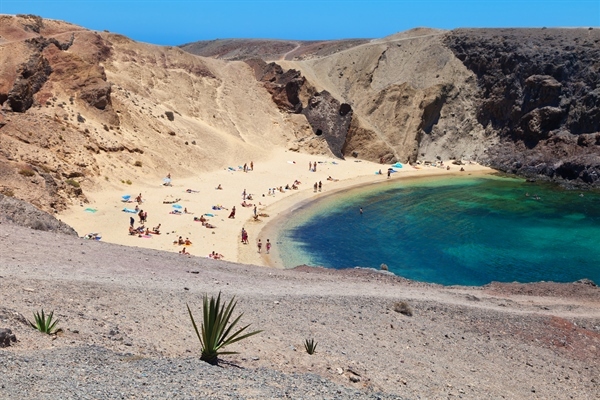 Marine life that can be found in the waters of Lanzarote include nudibranchs, cuttlefish, seahorses, bull rays and of course the popular angel shark! Manta diving will pick you up from your hotel and transport you to the dive centre free of charge if participating in a dive package or course. All certification fee’s equipment hire and manuals are included in the cost of PADI courses. 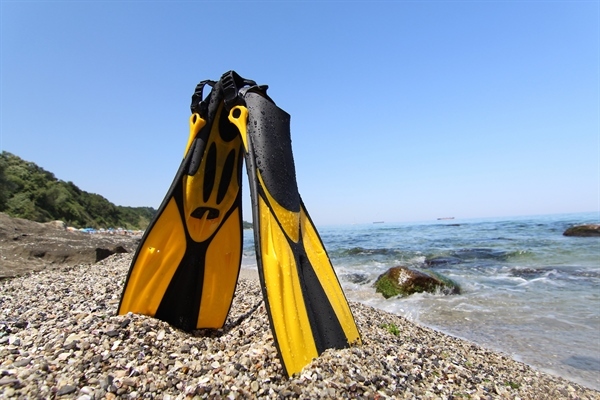 Dive package prices are based on shore dives. An additional 10€ will be charged at the dive centre if you want to go on a boat dive.